"There has been no shortage of stories on athletes using Twitter (Twitter) and social media to further their personal agendas. On the flip side, we’ve also seen the organizations behind the professional sports leagues, and the media outlets covering them, struggle between their desire to understand and embrace social media and their fear of losing control of their entertainment properties. Athletes and their representatives, coaches, staff members, and media analysts all pose a threat to the status quo. Cincinnati Bengals Wide Receiver Chad Ochocinco’s in-game tweets could mean that fans follow him over watching the television interview, Andy Roddick’s tennis tweets could reveal insider information, the ESPN analysts’ tweets on sports stories could attract off-camera discussion; the bottom line is that control of the message is slipping away with Twitter as a medium. It’s this fear of losing control that is driving organizations to restrict what gets said in a social media space." "We have heard you. We are on it." So says the Seth Bloom — a.k.a. Seth the blogger guy — the geeky talking head that AT&T (T) has sent out to do damage control in the face of rising outrage among Apple (AAPL) iPhone users about the quality of AT&T's service, particularly in urban areas like San Francisco and New York. (See for example Wednesday's New York Times, which dubbed the data-guzzling iPhone 'the Hummer of cellphones.')" "Last week we reported on what sounded like a cool experiment to mix social media with television. Fox's idea of "tweet-peats" would combine reruns of popular new shows Fringe and Glee, with producers and members of the cast tweeting their show commentary as the episodes rolled. Unfortunately, the promising experiment went off the rails because of the implementation. Zatz Not Funny caught a screengrab of the resulting interface (shown at right), with the TwitterTwitterTwitter commentary showing up smack on top of the lower third of the screen, obscuring the action of the show (and Anna Torv’s face! Oh the humanity)." "There’s an astonishing amount of information to be gleaned from mining the amazing real-time stream of information Twitter (Twitter) provides. Twitter search (tweetzi Twitter Search) is an extremely powerful way of turning up some of those answers. Even using only plain text queries can turn up lots of valuable information about what people are talking about right now. But you can go even deeper than plain text queries. They’re not too well publicized, so it’s all too easy to forget they even exist. We wanted to jog your memories and highlight a few of the cool advanced operators that can help you turn up sometimes surprising results." Goodman-Gable-Gould/Adjusters International (GGG/AI) is in the Southeastern United States assisting business owners who have suffered property damage due to the recent flooding. Our Disaster Recovery Consulting Division successfully guides municipalities, businesses, organizations and eligible non-profits in securing FEMA funding to rebuild their facilities and restore operations after a disaster. 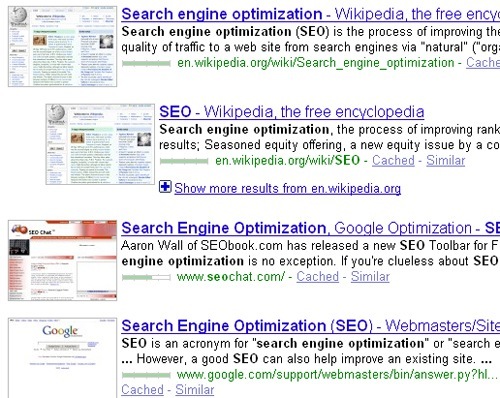 Google Icon add the favicon next to each search result (if available) in Google SERPs. Icons make it easier to recognize your favorite websites and breathe more life into that dull search page. 1. Personalization and expression: It’s a chance to express yourself and who you are. Are you an artist, a musician, a blogger, or a cook? Do you love Macs or the beach? A new backdrop can really help people understand who you are. 2. Contact info: It’s an easy way to add additional information you can plug into your 160 character bio. 3. Personal branding: Having your contact information, your face, or additional bio information within your background is a common practice. It helps potential followers understand what you do and why you are someone people should follow. Check out HOW TO: Build Your Personal Brand on Twitter for more. 4. Artistic creativity: Twitter is a great opportunity to push the limits of your talents. Great article with essential tips - I found most of them useful and can't wait for my next trip! Facebook's most Twitter-like feature yet – the ability to include other users in messages using the "@" symbol – is now live. As we reported last week, the feature doesn't include just users though. Brands (Facebook Pages), events, and groups can all be included in status updates using the syntax. Last weekend, a group of entrepreneurs and programmers got together for Rails Rumble. The goal? To build the best web app possible in only 48 hours based on the Ruby on Rails programming framework. The result? 168 teams completed functional apps that do everything from aggregate your social media profiles to turning your Twitter (Twitter) account into a de-facto visual voicemail. Now the field has been whittled down to 22 applications where a popular vote will determine which one wins the Rails Rumble. The TV industry has as little as two years to create viable digital businesses or face a version of the 'iTunes moment' that saw the music business cede the online future to Apple, according to Ashley Highfield. Highfield, the the managing director of consumer and online at Microsoft UK, said he believed the reluctance advertisers feel to advertise on sites such as Facebook will soon be a 'non-issue', putting more pressure on broadcasters' advertising revenues. There are plenty of Twitter tools out there designed to help you understand Twitter (Twitter) metrics. These tools come in handy for measuring change in tweet fluctuations, charting follower count numbers, finding out hashtag frequency, and quantifying Twitter activity. Most of us, however, will find ourselves wanting to know more about the tweets themselves, and to really understand the context and content of a tweet. It’s easy to take a look at a single tweet and dissect its content, but how do you go about doing so on a grand scale? When it comes to individual Twitterers, the same logic holds true. It’s easy to take a look at someone’s Twitter bio and most recent tweet, and make an assumption about what kind of Twitterer they are, but how can you go about understanding the totality of that Twitterer’s behaviors? The egalitarian ideal of an online repository of human knowledge that is exclusively written and edited by volunteers has come face-to-face with an unpleasant reality. The Wikimedia Foundation, the non-profit organization that governs the sprawling Wikipedia, admitted a defeat of sorts yesterday when it announced that soon all changes to articles about living people must be reviewed by experienced volunteer editors before the changes are released to the public Web site. The reason? Too many errors, too much unreliable information, and a growing realization that the position of the Wikipedia as a trusted information source could be placed at risk unless more controls are placed over its freewheeling editorial process. In a nutshell, this announcement affirms the limitation of serious user generated content on the Web and reaffirms the necessity for professional or dedicated curators to ensure quality of information and lack of self-dealing or self-interested postings. "WordPress (WordPress) has responded to news today that outdated versions of the popular blogging software are vulnerable to a new attack. The attack affects only self-hosted versions of WordPress, not those at WordPress.com. The organization’s advice is simple: if you aren’t using the most recent version (2.8.4), upgrade now to avoid problems. This isn’t really a problem with WordPress: those who have been upgrading regularly, as advised, are not affected. And WordPress has made it increasingly easy to upgrade, now just requiring a single click." Google Inc. announced today that Kai-Fu Lee, president of Google China, has resigned from the company. He will be succeeded by two executives: director of Google's Shanghai engineering office Boon-Lock Yeo, who will take care of engineering, and Google China's sales team leader John Liu, who will be in charge of business and operations. Speaking about his departure, Kai-Fu Lee gave the usually vague "moving on to pursue other ventures" statement, which might mean that he's starting his own project. "With a very strong leadership team in place, it seemed a very good moment for me to move to the next chapter in my career," he said. Your new pay-per-click account is structured, keywords loaded, ad text optimized. You activate your Adwords campaign, expecting great things, then… nothing. No spend. No impressions. No clicks. Don’t worry, it can happen to anyone. Chances are, there is one issue in your account that is preventing your ad text from appearing in the search results. Problem is, there are several possible reasons why your ads aren’t showing in Google. The PPC Hero team frequently receives questions from readers regarding ad serving issues in Google. So, I have compiled a handy top 10 list of reasons why your ads may not be showing in Google. Start from the top and work your way down. By the end, you should (hopefully) see activity in your AdWords account.